Origin: from Sudan to Mosambique, Zimbabwe, Togo and Senegal. 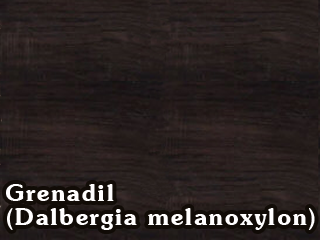 Grenadilla is a very heavy wood with a density of 1,17 – 1,25 gm/ccm. It produces a clear, elegant and obvious prominent tone. Recorders of grenadilla are often used as solo-instruments.